Basava, Kalburgi. Neither was an atheist; but both believed in, and practised, a radical form of religion. Their words—indeed, their lives—were texts that challenged the powerful status quo. at the doors of people. Some will not go if you ask them to go. Worse than dogs, some others. O lord of the meeting rivers? Basava did not merely mouth platitudes against caste oppression. Just as he ate with the lower castes and welcomed them into his movement, he insinuated himself into the lineage of those considered inferior by the orthodox. Basava may have been born a Brahmin; but he shed the sacred thread, the agrahara culture of the Brahmins, the priests and temple culture. He became a child of butchers, water-carriers, fodder-gatherers. He became a child of the lower castes, of the lowest “untouchables”. This is how he made himself human. The daughter of the maid in Butcher Kakkayya’s house. the lord of the meeting rivers is my witness. Equality and reason, but also confluence. The dynamic, the ever moving instead of the static and stagnant. It has to be emphasised that even the spiritual in Basava’s philosophy included the social, political and economic aspects of the community. Unlike other Bhakti or devotional movements which put individual salvation first, Basava’s sharana movement, and the Lingayatism he founded, advocated a more egalitarian Bhakti―eschewing traditional temple worship, idol worship, meaningless rituals, and even renunciation. The spiritual was firmly located in people’s lives in the real world of society. Anyone, regardless of caste, gender or community could become a sharana. The movement gave the common people of the Kalyana kingdom a sense of their human value, while moving them from the periphery toward the mainstream. The weapon of the movement was a body of literature: poems called vachanas―“what is said”―in language that connected to the common people. It didn’t last, of course. The crisis point for the movement came when the sharanas organised an inter-caste marriage. The fathers of the bride and groom were executed, dragged by an elephant. The king of Kalyana was killed; anarchy followed. Basava was forced to leave the city, and his end is shrouded in mystery. Over the years, the movement which had equality at its heart became another caste. Today, the Lingayats form a considerable number in Karnataka. They are somewhere in the middle of the caste hierarchy, but wield economic and political power. And, in a sad irony, Basava’s legacy has been appropriated by conservative elements supportive of the new right wing in India. For someone who is inspired by Basava’s text today―his words, his ideas and his life―what is the way forward? How do you combat the distortion of Basava’s ideas and words, the casteism born out of an anti-caste movement? How do you keep his challenges alive today, and challenge both old and new temples, priests and gods? The old inequalities that persist, and the new inequalities that create deeper division? Of late artificial changes are being introduced instead of genuine ones in society thanks to religious and political leaders. The researcher needs to unravel actual history in order to stop the exploitation caused by such false history. Research is not a purely historical exploration but a struggle with those who invoke false history to profit from the present (Visaji 2016, 74). What guided Kalburgi in this struggle he speaks of? Kalburgi knew intimately, through years of work, the extraordinary flowering of people’s literature during a movement against orthodoxy in twelfth-century Karnataka, and the man who led this movement, Basava. Kalburgi’s research and writing were inspired by Basava’s idea of equality, his insistence on putting an end to caste and gender discrimination, and upholding the dignity of labour. Kalburgi was also a leading authority on the vachanas. Kalburgi was a Lingayat too. But his interpretation of this literature and current Lingayatism, as well as his application of Basava’s ideas to the social and political scenario today, angered the community’s establishment. The struggle of the researcher that Kalburgi spoke of was the need to resist “those who invoke false history to profit from the present”. For Kalburgi, these peddlers of false history included the growing new right wing in India; but first and foremost, the Lingayat establishment that had lost Basava’s radicalism—the essence of the movement he spearheaded. It was 8:40 in the morning on Sunday, August 30th, 2015, in Dharwad, a place rich in cultural tradition, from literature to music. Seventy-seven-year-old Kalburgi was at home in Kalyan Nagar―an apposite address for a man who read and wrote so much about Basava’s Kalyana. Kalburgi was talking on his cell phone. There was a knock at the door. Kalburgi opened the door; two men shot him at close range; the bullet pierced his head. The men apparently sped away on a motorcycle; there were no eyewitnesses. When the family rushed to the verandah, Kalburgi lay dead on the ground. There was widespread outrage over the assassination, and citizens from writers to scientists protested the fatal censorship of a scholar and writer. Kalburgi’s murder was an addition to a list: the murder of anti-superstition and anti-caste activist Narendra Dabholkar in Pune, and that of anti-caste and anti-false history activist Govind Pansare. This linked list―which has grown with the murder of journalist Gauri Lankesh in Bengalaru—is important to those who seek to challenge the offensive against freedom of expression and dissent. In the case of Kalburgi, there is a clear textual link between his scholarly dissent and his murder. There are specific texts which the conservatives in the Lingayat community objected to. His collection Marga 1, had two articles perceived as “derogatory” of Basava, his wife and sister. On the basis of several vachanas, Kalburgi had concluded in the first article that Basava’s relationship with his second wife Neelambike was platonic. In the second article, he argued that the veerashaiva poet and leader Channabasava could have been the son of Nagalambike, Basava’s sister, and a cobbler poet, Dohara Kakkaya. Such a birth, the product of an inter-caste marriage, said Kalburgi, had been obfuscated by false history. For example a remark he had made about superstitions in a public meeting in Bengaluru which had been organised to discuss the draft Anti-superstition bill prepared by Karnataka Government led to screaming headlines in one of the newspapers leading to death threats and cowardly acts of vandalism at his residence last year. Who is afraid of this? The “contested text” today is the body of Basava’s ideas, his demands for political, economic and social change; combined with the interpretation of Kalburgi and his historical findings based on scholarship. Basava’s movement, and Kalburgi’s internalisation of the ideas and words behind this movement: together they present a challenge to the powers that be, whether the powerful religious institution of the mathas or their friends, or their preferred political ally, the new right wing exemplified by the Vishwa Hindu Parishad, the Bajrang Dal and the Sri Ram Sene groups. The link between Basava and Kalburgi was apparent to many. The overarching concern expressed at the Town Hall in Bengaluru was that a culture of lethal violence might overwhelm the hallowed culture of discussion and questioning in Lingayat society. Indeed, one of the first victims of the temptation to violence was Basava himself―martyred at the end of the celebrated period of social reform, when he was thought to have gone too far by marrying a Brahmin girl to a Dalit boy. One protestor on the Town Hall steps had evidently thought of this: “Yesterday Basavanna,” his sign read, “Today Kalburgi”. (Karnad 2015). Perhaps the text that brings all these strands together is a play by Kalburgi called Kettithu Kalyana, translated into English as “The Fall of Kalyana”. The play is about the struggle led by Basava for caste and class equality. But it also reflects the loss of the gains made by this struggle, centuries later in our times, through “false history”. The play begins with a powerful scene in the Brahmin agrahara of Bagewadi where Basava lived with his parents. It was full moon, and time for Brahmins to change their sacred thread. 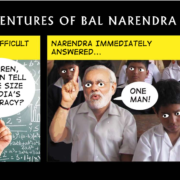 Fifteen-year-old Basava refused a new thread; in fact, he was about to tear off his old one. Two priests held on to his hand, telling him that being Brahmin meant access to “the prestige of being called gods on earth” (Fall of Kalyana, 2). Basava resisted. His thread snapped, hung loose. “I don’t want this sacred thread which makes me a Brahmin instead of a human being,” he said. A man becomes a Brahmin as soon as he wears the sacred thread. From that day, he starts classifying society into Brahmin, Kshatriya, Vaisya and Sudra… the sacred thread divides society… (21). Basava dashed to the ground the text which exemplifies the traditional practice of division, the Manusmriti. Basava and his family were excommunicated. (Kalburgi too was threatened, and with more than excommunication. The conservatives among the Lingayats took offense when he suggested that Basava’s nephew, the sharana Channabasava, was a leather tanner. Kalburgi was threatened with death; he was summoned to a Lingayat matha in Dharwad and forced to recant (Narayan)). From the first setting of Kalburgi’s play―the powerful Brahmin village culture―Basava moved to the second stage of his life, his exploration of temple culture. Basava went to Kudala Sangama, the centre of monasteries and temples, hoping to learn from the “literature of ideas and freedom of expression”. But here too he found the same authoritarian, close-minded priestly culture, empty ritual, the mechanical reading of texts and reciting of mantras. The Shaivas’ intelligence was also tarnished, he found, like the Brahmins, “by the smoke of the sacrificial fire” (Fall of Kalyana, 12). Superstition was pervasive, resulting in irrational, often cruel practices: “barking like dogs after worshipping God Mailara, walking about naked after worshipping God Bhairava, walking on cinders, torturing the body, sacrificing women…” (26) In addition to the wasteful practices of libation, palanquin processions, religious ritual such as grand pujas, the poor ended up borrowing from the rich to offer their devotion to deities, and “pots and bowls, roadside stones and trees enjoy the status of gods” (25). (Kalburgi too was critical of the Brahmin-like practices followed by a section of the present day Lingayat community, who pay lip service to Basava as a saint, but turn his ideas on casteless equality upside down. Kalburgi also supported writer U.R. Ananthamurthy’s ridiculing of idol worship. And Kalburgi criticised the Lingayats’ celebration of festivals such as Ganesh Chathurthi (Nayak 2015)). Basava moved on from Kudala Sangama. In Kalyana, his father-in-law introduced him to King Bijjala and Basava was given a job in the royal treasury. His honesty was so exemplary that he was soon made finance minister. This was when Basava’s idea of equality led to practical action. He cut grants to temples and Brahmins, redirecting resources to the poor and marginalised to whom, he announced, the treasury really belonged. These days, the kings have been exploiting the subjects; the priests have been exploiting the devotees and the men have been exploiting the women… society has been divided into two streams, the exploiters and the exploited (Fall of Kalyana, 33). The caste differences between the privileged and the underprivileged is born out of “religion” whereas the difference between the poor and the rich is born out of labour (40). The movement grew; there were followers from all castes, potters, weavers, boatmen, and both men and women. Many sharanas other than Basava became leaders in different ways. All of them had to face, of course, stiff opposition from priests, Brahmins, the rich, and finally the king himself. The crisis came when an inter-caste marriage took place, between the daughter of a Brahmin and the son of a cobbler. Then king, city, Basava, the movement―all collapsed into anarchy. The king was assassinated; Basava driven out of the city. Many sharanas were slaughtered. Vachana manuscripts were seized and burnt. The status quo crept back over time. The Lingayats became a caste. Basava became a saint, rather than the bearer of a more just world. Many of his “descendants” lost all connection with his legacy. But there were, there are, others who search for it, find it in text, word, idea and action. They bring Basava back to our times, times which see both old and new manifestations of caste, community, gender, ritual, superstition, hypocrisy and unreason. And the same big gap between the powerful and the powerless. Kalburgi was one such man. He saw the gaps, the hypocrisy, the betrayal of Basava’s rational, egalitarian and rational approach to both social life and the life of the spirit. Kalburgi saw all this. And he was not just a scholar mining old words; he wrote, he spoke, he challenged. He was a practitioner of Basava’s thought. His claim that the Lingayats are not Hindus angered the powerful Lingayats. 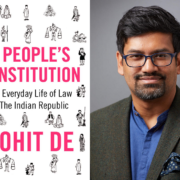 In addition, his exploration of the positive aspects of Muslim rule in Karnataka, as well as Persian and Urdu texts, antagonised the Hindutva groups in India today. Basava, Kalburgi. Neither was an atheist; but both believed in, and practised, a radical form of religion. Their words—indeed, their lives—were texts that challenged the powerful status quo. Basava’s end in exile is shrouded in mystery. Kalburgi’s murder remains an ongoing “case”. You fear words. Men who fear words exult in human blood. You can silence me, but you cannot silence truth. Truth and fire are ever inextinguishable. They will always keep burning somewhere. One spark is enough to create a conflagration (quoted in Satchidanandan 2015). Basava and Kalburgi. Their words are sparks that will not die. Basava. 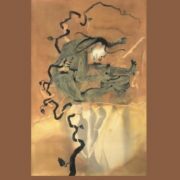 Speaking of Siva, translated with an Introduction by A.K. Ramanujan, Penguin Classics, 1973. Basava. The Lord of the Meeting Rivers, Devotional Poems, translated by Kamil V. Zvelebil, Motilal Banarsidass-UNESCO, 1984. Vikram Visaji, “M.M. Kalburgi, the Tireless Scholar and Fearless Critic”, Words Matter, Writings against Silence, ed. K. Satchidanandan, Penguin Books India 2016, pp. 71-79. Shivanand Kanavi, “Prof M.M. 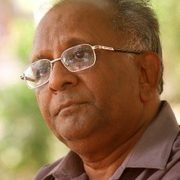 Kalburgi, A Tireless Researcher”, published first on the author’s blog and also in Outlook Magazine. Raghu Karnad, “Murder in the Academy: M.M. Kalburgi’s Dangerous Literary Studies”, The Wire, 30/08/2015. M.M. 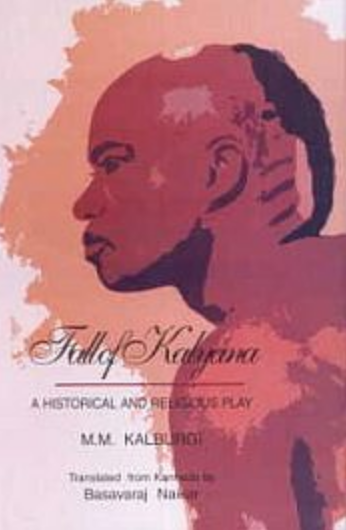 Kalburgi, The Fall of Kalyana, A Play, translated by Basavaraj Naicker, Basava Samithi, 2003. 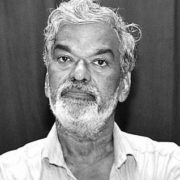 N. Dinesh Nayak, “Kannada writer was at the centre of controversies”, The Hindu, August 31, 2015. I Keep Vigil of Rudra, The Vachanas, Translated by H.S. Shivaprakash, Penguin Classics, 2010. K. Satchidanandan, “They Feared His Words: A Tribute to M.M. Kalburgi”, Indian Cultural Forum, October 21, 2015. 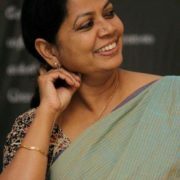 Githa Hariharan is a writer and a Founder Member of the Indian Writers Forum. This essay was first written for Text Wars, ed. Hilda David & Francis Jarman, 2018.